Now a Boeing employee, Ferguson will make his fourth trip into space after logging more than 40 days in orbit on three space shuttle missions. The Washington Post first reported Ferguson’s assignment to the mission last week, and Boeing has confirmed he will fly on the CST-100 Starliner’s first crew test flight scheduled for mid-2019. 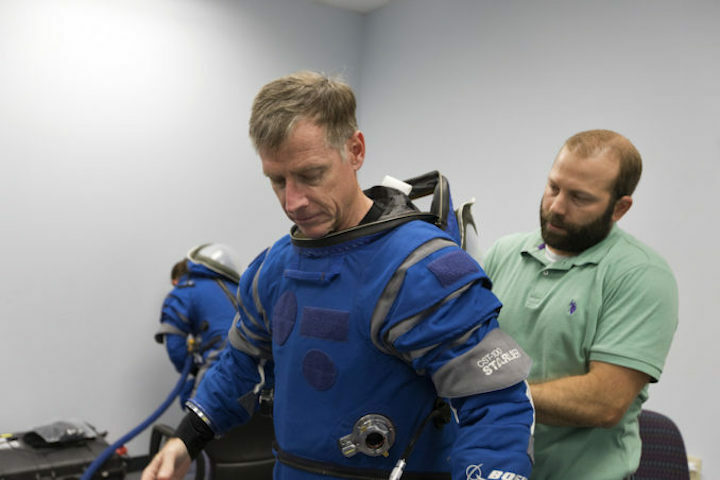 Ferguson, 56, will likely be joined by two NASA astronauts on the mission. Their identities will be announced Friday in a ceremony at NASA’s Johnson Space Center in Houston, headquarters for agency’s astronaut corps. NASA is also expected to announce crews for the first flight of SpaceX’s Crew Dragon spacecraft with astronauts on-board, plus which astronauts will fly on the first “post-certification” missions by both commercially-developed vehicles on operational crew rotation flights to the International Space Station. Boeing and SpaceX are developing the CST-100 Starliner and Crew Dragon spacecraft under multibillion-dollar contracts with NASA. Boeing’s CST-100 Starliner, featuring a reusable crew module, will launch on United Launch Alliance Atlas 5 rockets and return to landings in the Western United States with the aid of parachutes and airbags. SpaceX’s Crew Dragon will launch on the company’s own Falcon 9 boosters, and splash down in the ocean under parachutes at the end of each mission. “We are really excited that on Friday we’ll be out in Houston for the upcoming astronaut announcement,” said John Mulholland, vice president and program manager for Boeing’s CST-100 Starliner. Ferguson flew F-14 Tomcat airplanes off aircraft carriers in the Navy, and graduated from the service’s Top Gun school for fighter pilots before his selection as a NASA astronaut in 1998. He piloted the STS-115 mission by the shuttle Atlantis to the International Space Station in September 2006, then commanded two more spaceflights — aboard the shuttle Endeavour in November 2008 on the STS-126 mission, and the final flight of the storied 30-year program aboard Atlantis’s STS-135 mission in July 2011. Ferguson retired from the space agency several months after guiding Atlantis back to Earth on its last flight. He found a job at Boeing, which announced in 2010 it was developing the CST-100 Starliner spacecraft in partnership with NASA’s commercial crew program, aimed at ending U.S. reliance on Russian Soyuz vehicles for crew access to the space station in the post-shuttle era. “Now I find myself right back in the fight again, right back in the fight as a stakeholder in making sure that we’re successful,” Ferguson said in 2016. 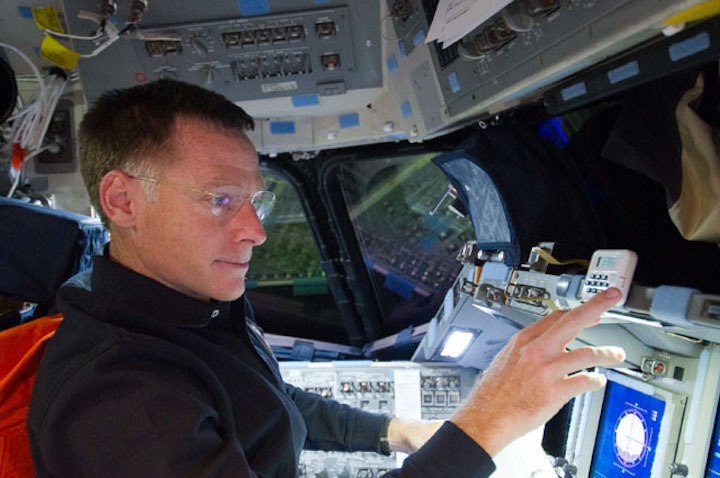 The fighter pilot-turned-astronaut-turned-manager will have a renaissance of his flying career on the CST-100 Starliner’s crew test flight, which is now scheduled for mid-2019 after an unpiloted demo mission late this year or early next year. Ferguson’s shuttle crew in 2011 left a U.S. flag on the space station for the next astronauts launched from U.S. soil to bring home.